The original factory building from 1908 shows masonry details underneath the layers of paint. As buildings go, the former Scudder Motor Truck Company Building at 3942-62 Laclede Avenue is not particularly lovely, or very well-known. No matter, because the building’s transition from the last days of carriage production to the St. Louis’ early and roaring automobile age has earned it a place in the National Register of Historic Places. The National Park Service listed the Scudder building on April 24. Preservation Research Office prepared the nomination for the building’s owners, F H & C LLC. The Scudder Motor Truck Company Building significant for its commercial history and association with transitions in the local automobile industry. The building meets the registration requirements for Property Type: Automotive Dealerships and Retail Businesses and for the Property Type: Service Stations established in the Multiple Property Documentation Form (MPDF) Historic Auto-Related Resources of St. Louis, Missouri. (An MPDF allows for buildings that support broader contexts to received National Register listing when they would be ineligible on their own. Such is the case here.) 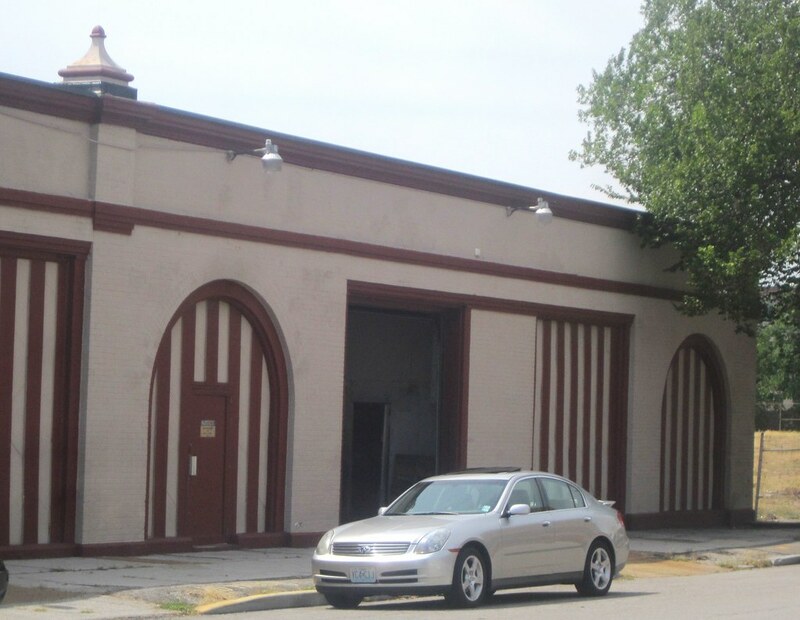 Carriage-related buildings adapted to serve the automobile age are rare in St. Louis, but the nominated building made that transition and continues to be in use by an automobile-related enterprise. Looking southwest at the building. Advertisement from the St. Louis Post-Dispatch, 1920. In 1918, the Scudder Motor Truck Company, a dealer of Service brand delivery and fleet trucks moved into the building. The company operated a dealership and repair shop, and lured co-tenants offering related services for both Service and other types of trucks. W.L. Armstrong’s tire shop is shown at this address in a 1919 advertisement, and the Local Auto Paint Company appears at the address in city directories from 1923 through 1933. These businesses occupied the building simultaneously, and may have had financial interconnections. At the least, their services all would have appealed to clients that owned delivery trucks. 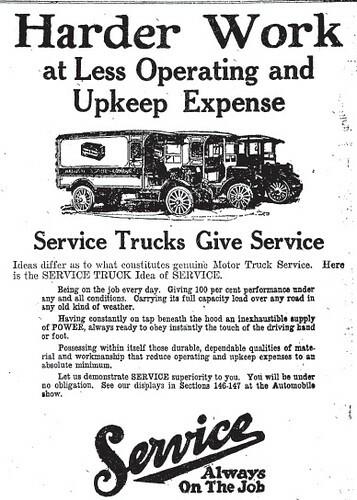 The Scudder Motor Truck Company sold and provided repair services to delivery trucks, and frequently took out illustrated advertisements in the St. Louis Post-Dispatch. These advertisements feature images of Service delivery trucks and the brand name “Service” emblazoned diagonally. That brand was the trademark of the Service Motor Truck Company of Wabash, Indiana, which manufactured delivery and repair trucks for industrial buyers. Scudder occupied the building as a truck dealership and service shop, a tire shop and an automobile painting shop through 1937. From that year through 1952, the Falstaff Brewing Company used the building as a garage and maintenance shop for its delivery fleet. The period of significance begins when the Scudder Motor Truck Company opened its dealership in the building and ends in 1952 when the Falstaff garage closed. In 1958, Bumper and Auto Processing of Missouri occupied the building as a shop for processing and re-plating of automobile bumpers. That use, under current tenant United Automotive Products, Inc., continues to this day. Text adapted from the National Register of Historic Places nomination. Read the full text here.